Who are we Turbo Wax Detailing and what is it Auto detailing? 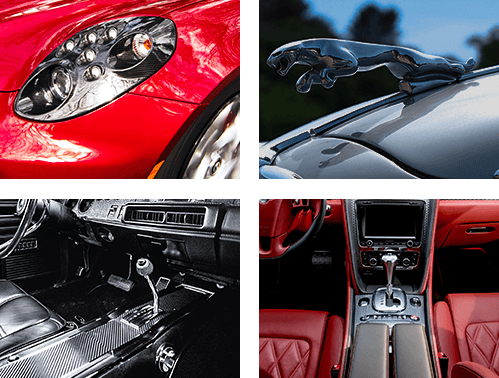 Auto detailing is the act of performing of thorough cleaning, restoration, and finishing of a vehicle, to produce a show-quality cleanliness and polish. Detailing can be performed on a vehicle's exterior and or interior that requires a lot of knowledge, experience, patience and a top quality professional equipment and materials. During the recent years, motor culture has gained momentum, and with it, our attitude toward our vehicles has become more personal and we treat our car not as “just a vehicle”, but rather as a family member! This bit requires professional and dedicated cosmetic treatment to maintain proper, clean, smooth and new appearance for many months to come. Realizing all this, we at Turbo Wax Detailing are aim to provide the best and professional service possible. Our extensive knowledge gained from the leading academies in Germany, our decade long professional and business experience, use of top notch materials from leading companies in the market and use of highly professional and trusted equipment make Turbo Wax Detailing the best auto detailing point in Israel for you.